“No mainstream liberals will dispute that if you comb through the welfare rolls you will find people who are looking to freeload off the system. Any sufficiently large organization – public or private – is going to have some freeriders and dead weight. 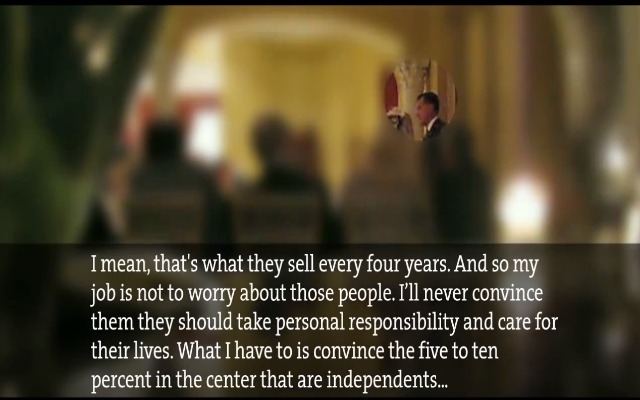 The reason Romney is – justifiably, in my opinion – getting so much flak for his comments is that he is applying the descriptor of an anecdotally small fragment of those who receive government benefits and applying it to everybody who does not pay federal income tax, be they soldiers on deployment, retirees, the disabled, or the working poor. Romney earns my scorn for his remarks for two reasons. First, he’s out of touch. The vast majority of people who receive federal assistance do so temporarily – for 1-3 years. They paid taxes before they fell on hard times, and they get out as soon as they can. Because federal assistance payments are really not very high, and trying to eke out a living off of them is brutal. Romney clearly has no clue – either of the dynamics of the system or the actual living condition of the people he casually dismisses as irresponsible sponges. He’s not a brave truth-teller – he’s a clueless panderer of shoddy stereotypes in place of nuanced understanding.